The ‘Alpine Lakes’ build of World Machine is all about water and the effect it has on your terrain. 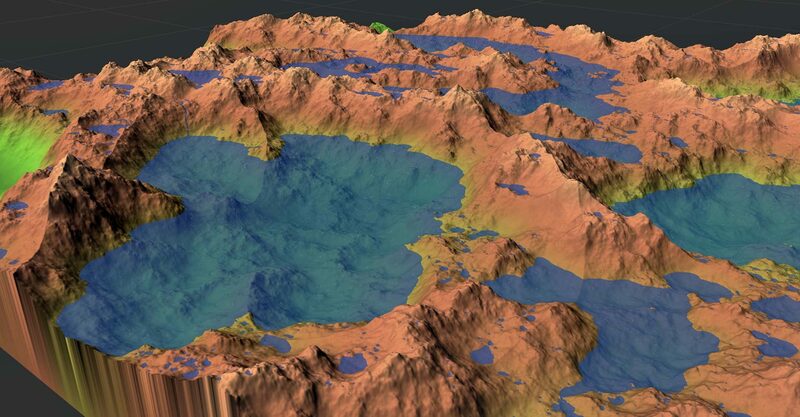 Alpine Lakes fundamentally changes how World Machine treats water, and provides powerful tools to help shape your terrain so that water can flow as you intend. 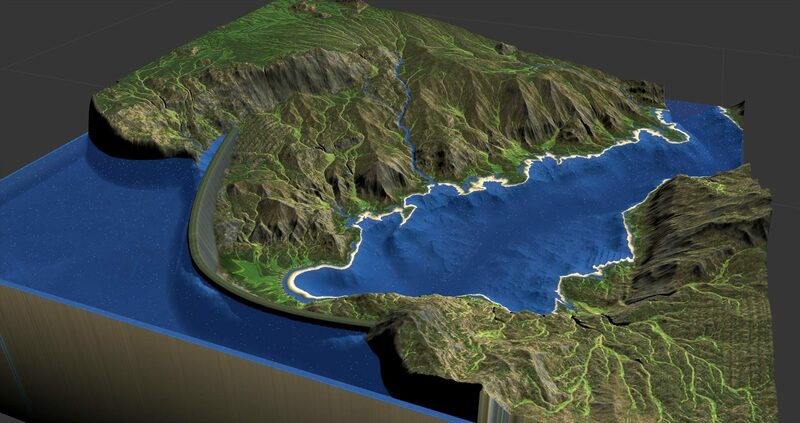 You can now add lakes and rivers, drive new beautiful texturing based on soil wetness, and even have World Machine recraft your terrain by breaking through ridges and creating new drainage basins according to hydrodynamic principles. Even if you have no desire to export water geometry, capturing more of the effects of water on the terrain will have a profound effect on your world. This first Development build lets you immediately get started using these powerful new tools. Water is now a first class citizen in World Machine. It has its own datatype and can be visualized independently or with the terrain. Internally, it consists of geometry defining elevation and depth along with velocity. 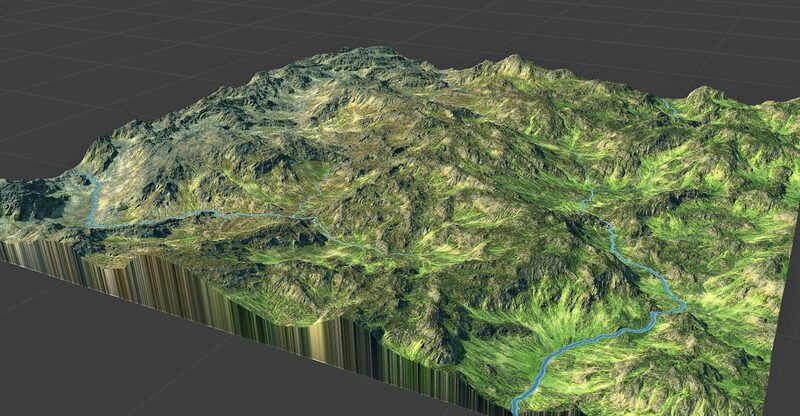 You can export the water geometry as a mesh and quickly include bodies of water on your terrain. 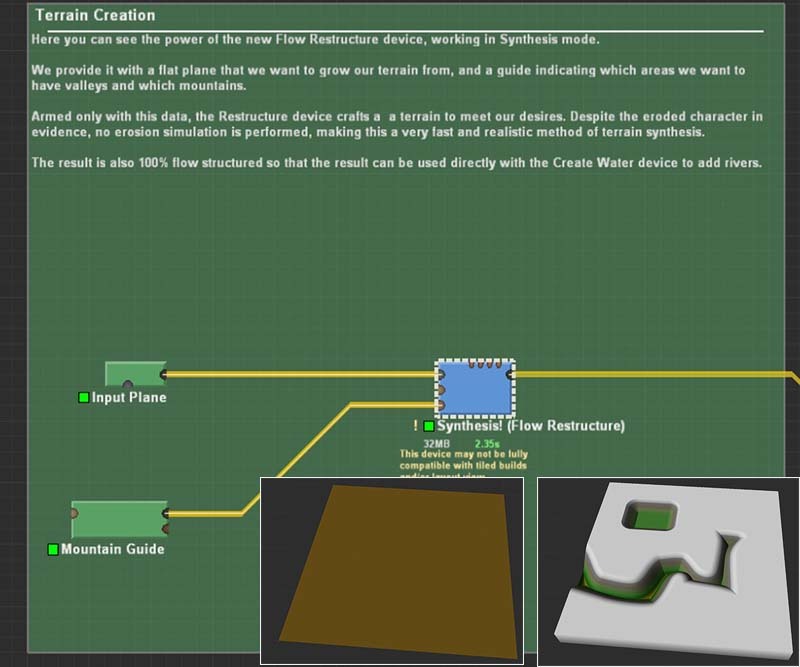 Export the flowmaps to your game engine and animate your river material for realistic running water, as well as make objects float downstream.. The Wetness Selector strikes an ideal blend between power and usability, allowing you to setup fantastic terrain textures with just a few clicks. The Wetness Selector flow-integrates rainfall on your map to provide an measure of wetness at any given location. This is incredibly useful for texturing. 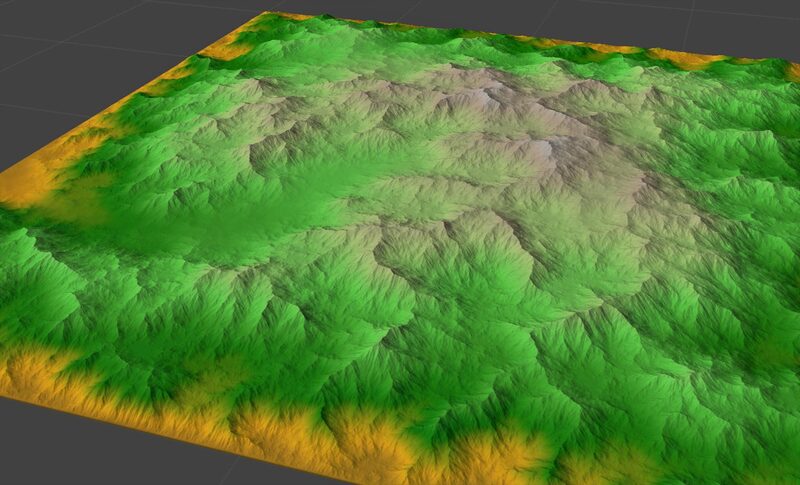 Alpine Lakes ships with a new texturing macro (‘Quick Texture’) that makes realistic ground cover easy and fast. Most of the images here are created with it! Adjust the “moisture” parameter, and watch your world blossom from an arid desert into a verdant jungle. You can provide a map of where rain falls to the wetness selector in order to vary the climate across a map. 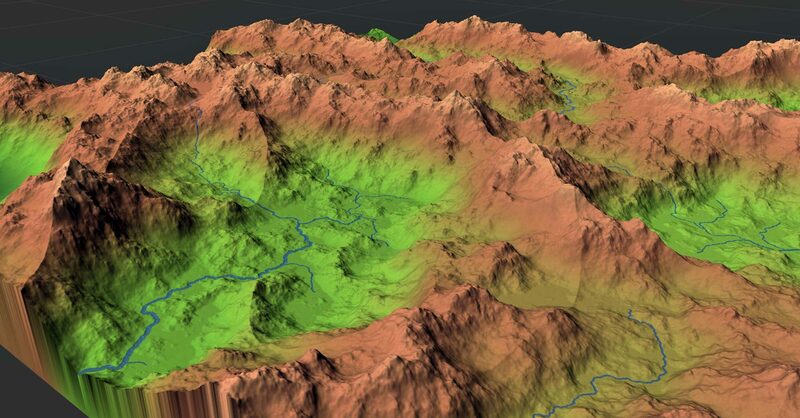 The results are correctly integrated across your terrain instead of being a simple blend. Here you can see the result of rainfall controlled with a simple linear gradient, with arid on the left and wet on the right. Zoom in for a better look! 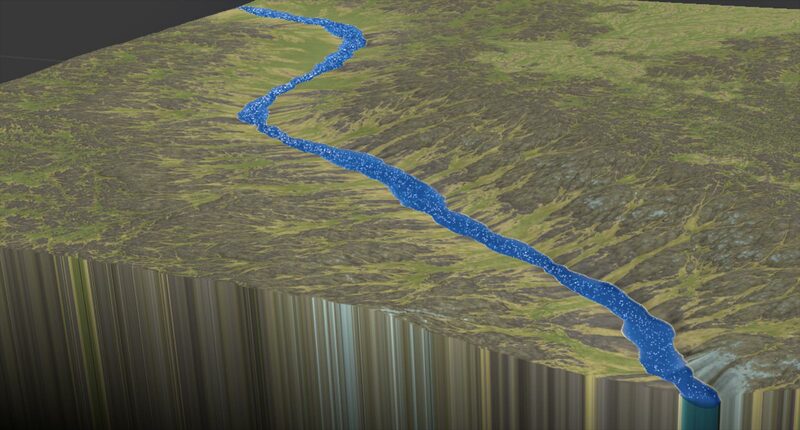 Create rivers, lakes, and tributaries in one click. 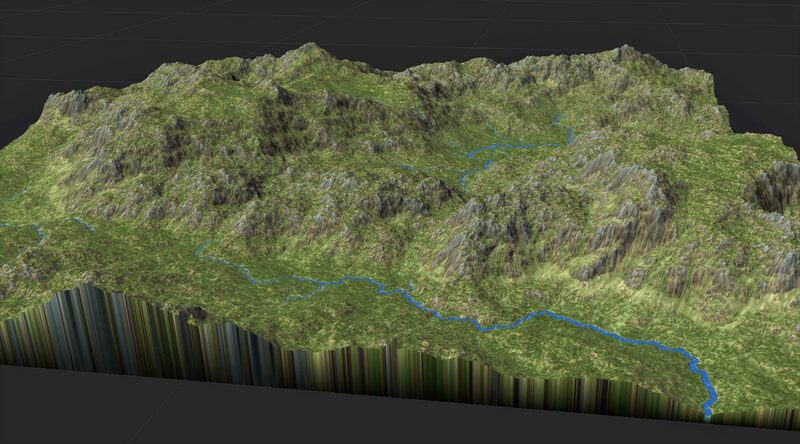 Previous versions of World Machine let you manually create rivers. Now you can have them created for you automatically. Rivers appear where the contributing uphill area passes a threshold that you specify. In other words, when enough water flows through an area, a stream begins. The size and speed of the resulting water flow is based on physical principles, and so as rivers meet and merge many small streams grow into mighty continent-spanning rivers. If natural lakes are more your thing, you can simply punch a depression into your terrain wherever you’d like a lake. The fact that water flows are based on the real physical shape of the terrain and not haphazardly-painted locations is very powerful. The Flow Restructure device is perhaps the most powerful new tool in your arsenal. With it, you can cut through ridges and sediment basins to make water flow on your terrain with the minimum amount of changes. You can force water to flow to map edges or drainage targets. This is incredibly useful – among other things, you can force tributaries to flow into manually-drawn rivers that you already have made. Even more incredibly — the Flow Structure device has an experimental synthesis mode that can create eroded terrain from scratch, without running an erosion simulation! Eroded mountains? No! Flow Restructure in Synthesis mode. Available as a preview mode for now, this will be an area of much active development in the future. Water now flows according to the channel bed geometry and physical conservation laws. You can now actually see the effect of your channel GCS as the flow speeds through narrows, lazily winds around bends, and collects in pools. 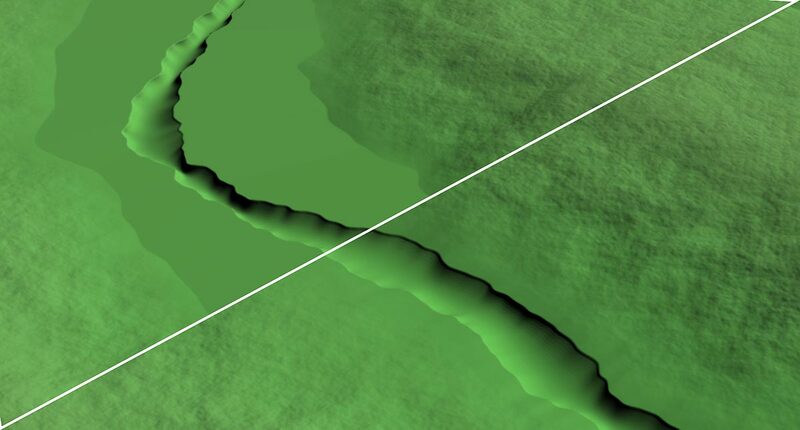 The river valley model has been improved slightly to remove the valley breaklines and allow you to remove the floodplain and valley completely if you just want to embed the channel instead of the entire river valley into your terrain. If you don’t want the floodplain, now you don’t need to have it. You can use the water output from the River device as the drainage target for your automatic rivers, letting you craft the major drainage basins of your world manually, then let World Machine create the rest. You can now export watertight volumes instead of just a surface. When exporting a volume, the mask input functions as a depth input. Additionally, a “Water Output” macro has been included, all setup for you to get water geometry and flow maps out of World Machine and into your app of choice. The Coastal Erosion device has been updated to support the new Water datatype. It plays well with the Create Water device to provide a drainage target for your rivers to flow into. A few other minor tweaks have been made, including allowing all of the effect strength parameters to go to zero. Lots of your reported issues fixed! You’re reading this changelog on our new Help Center! It’s pretty sparse at the moment, but before Alpine Lakes hits the Release Channel it will contain detailed information about how to use all the new devices in 3025, and then slowly, all of World Machine. Learning how to use these new features will be easier than any time in World Machine’s history. Build 3025 and onwards are node-locked. The license terms are unchanged, they are just actually now being verified 😉 . The only difference is that you will need to be connected to the internet when you first install and activate World Machine. That’s it – after activation, you can use World Machine offline. Since we want you to be able to use World Machine on your desktop and laptop, etc, we’ve made each license available for one user on up to 2 devices rather than 1. If you would like to move your license onto another device, you can de-authorize a computer anytime you wish to install somewhere else. As this is a Dev release, there may still be some wrinkles present. If you run into any issues, please contact the Helpdesk for assistance. I can’t find this macro. Trying to find a way to export river and lake geometry. Simply connect the water input to it, and set the filename, etc within the output manager as usual. Let me know if you have any questions about it! Thank you Stephen! Once the kinks in water simulation get ironed out, this could be a real asset to the river team! © Copyright World Machine Software LLC.